50 years ago, I stood in a courtroom, here in Oklahoma, swore my allegiance to this country and gained my citizenship. May 20th of this year, I sat in that exact courtroom, surrounded by my own artwork. I was attending the portrait unveiling of former Chief Judge, Vicki Miles-LaGrange. The portrait will be hung in the ceremonial courtroom after being framed. As OU’s president, David Boren congratulated me after the unveiling of the portrait, I couldn’t help but think about how lucky I am to be a part of history in such a great state! The kindness and hospitality Oklahoma has shown me over the years have been overwhelming! I’m so appreciative to have made my mark in a community such as this one here! 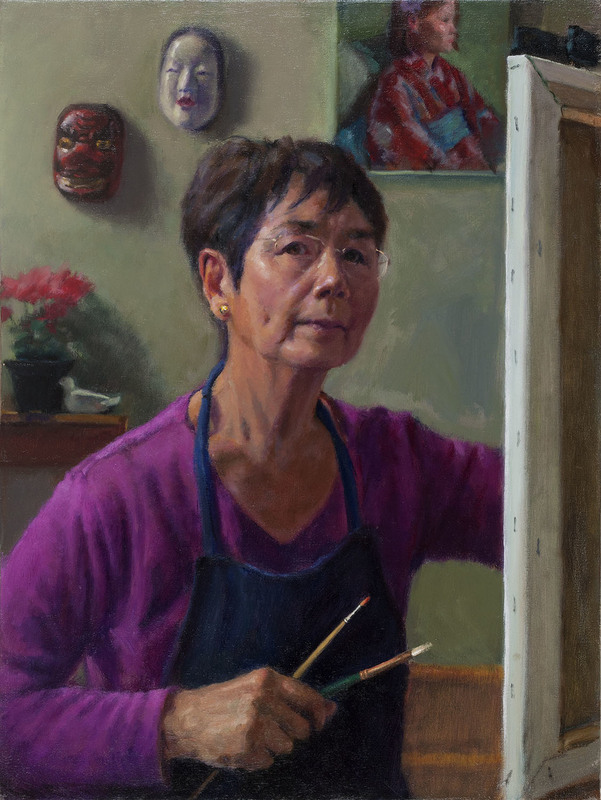 A native of Osaka, Japan, Mitsuno Ishii Reedy began her career in mid-1970's painting portraits, still lifes, and landscapes for collectors throughout the United States.